Popular food truck joins the growing list of mobile vendors opening brick and mortar restaurants in Jacksonville. Izzy Tahil started Blue Pacific Grill and Taco Bar as a mobile vendor operating at the Riverside Arts Market five years ago. This month, Tahill is set to begin construction of a full-fledged brick and mortar location at Mandarin’s Merchant’s Walk shopping center. 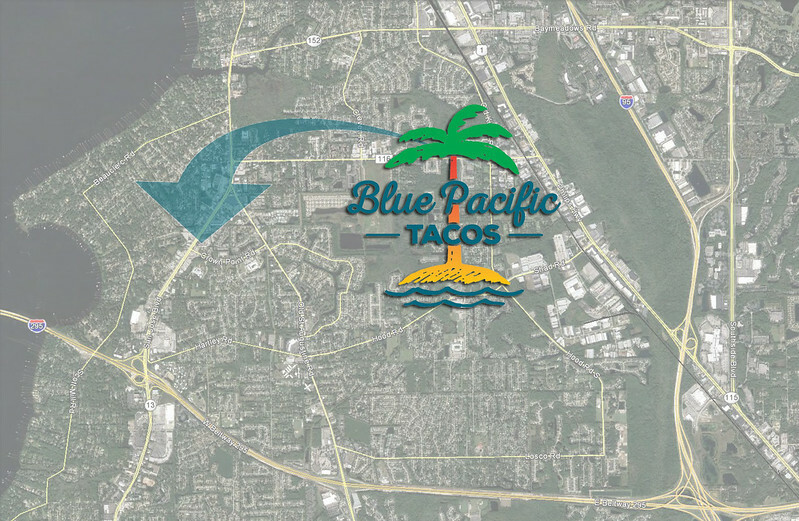 When completed, Blue Pacific will join a list of nearly a dozen entrepreneurs who have transitioned from truck to storefront in Northeast Florida in the past several years. Blue Pacific is opening a restaurant in the dense Mandarin neighborhood, within the Merchant’s Walk shopping center at 9965 San Jose Blvd. Tahil was born and raised in Singapore, which is very much a multicultural society with influences from the Chinese, Malaysians, Indians and Europeans. It was within this melting pot where the flavors that would become Blue Pacific’s menu began to simmer. Diners were drawn to the food truck to experience a mix of global cuisines all wrapped up neatly in the form of a taco. In many cases, even the traditional tortilla was thrown out the window in favor of naan, paratha or scallion pancakes. 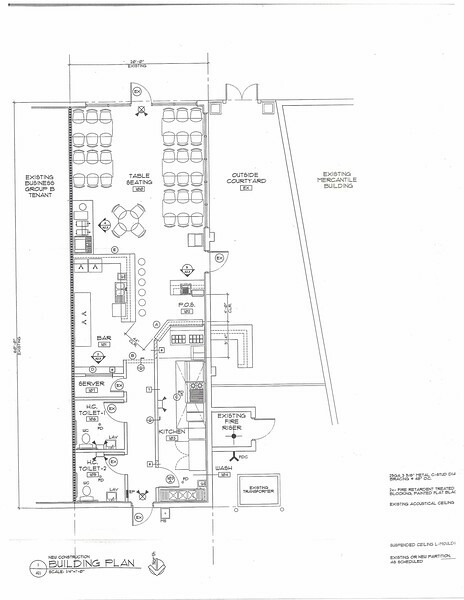 A look at the layout of the new space, expected to open in April. One unique feature of the new restaurant is a new patio space that will be utilized for outdoor seating and live music performances, allowing the restaurant to serve as a casual, neighborhood hangout. This eclectic menu earned Blue Pacific a loyal following and later led to earning recognition in the prestigious, annual Jax Truckies Food Truck Championship- earning ‘Best Global Cuisine’ in 2014 and ‘Best Taco’ in 2015. When Tahill’s new restaurant opens off San Jose Blvd in April, diners will be able to enjoy the award-winning cuisines that made Blue Pacific famous and further enhance their experience with the addition of live music within a casual, family-friendly, neighborhood-bar type setting. 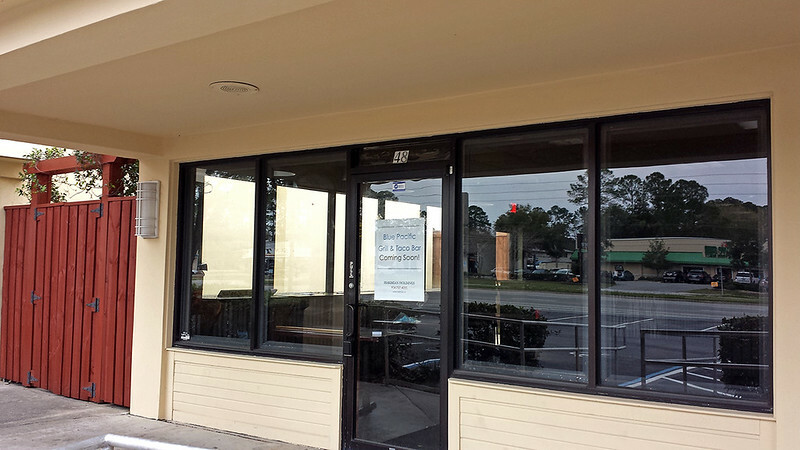 In a few short months, Blue Pacific Grill and Taco Bar will be operating from this storefront located across the street from Native Sun Natural Grocers.